How would you like to turn back the clock and again experience the level of health and vitality in your youth? 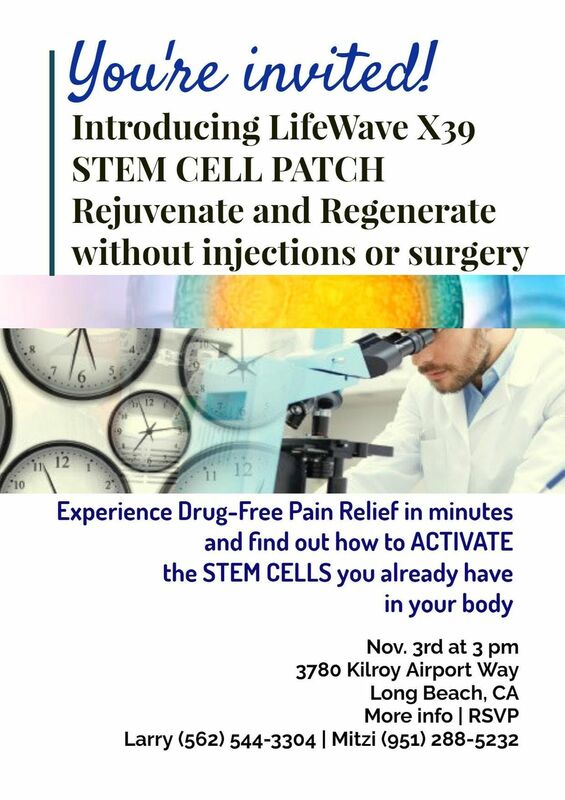 ***BE THE FIRST TO HEAR THE INCREDIBLE STORY BEHIND LifeWave X39™ and WHY THIS IS SUCH A LANDMARK DISCOVERY IN THE FIELD OF STEM CELLS! ***While the X39 is designed to “activate your stem cells”, there is much, much more to the story. In fact, to this point we have only released about 5% as to what the LifeWave X39™ is doing to improve your health! 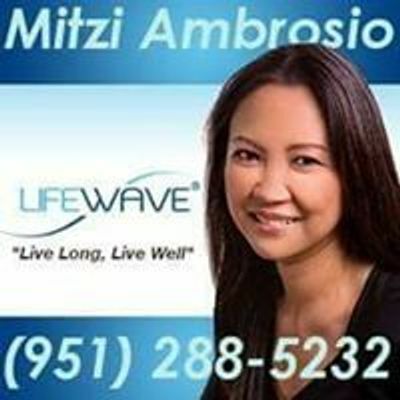 Dr. Melinda Connor and LifeWave Founder & CEO, David Schmidt. David’s experience in business and product development spans over 30 years and includes a formal education in Management Information Systems and Biology at Pace University in Pleasantville, NY. David then went on to pursue several entrepreneurial endeavors and as a result owned successful companies involved in manufacturing and product development. One of these companies, Advanced Applications Group, is a Research and Development center that specializes in energy production technologies for both military and commercial applications. During his time with AAG David developed new methods for producing Hydrogen and Oxygen, designed and prototyped multi-fueled bladeless turbine power generation systems, and constructed metal-combustion rocket engines.As a result of his innovations David was presented with an honorary doctorate by Dr. Alexander Marinaccio of the International Hall of Fame. In addition, as a result of work performed in the design of emergency Oxygen systems for General Dynamics and the U.S. Navy, David was invited to participate in the Navy’s next generation mini-sub program.The LifeWave Technology was born out of 3 years of intense research by David into the concept of being able to naturally increase energy and stamina through elevation of fat burning utilizing wireless communication to the human body via phototherapy. The LifeWave Technology is now available to the public and David has committed the past 15 years into making this opportunity a reality. David is the holder of more than 100 patents and patent applications globally, with more than 70 patents being in the field of regenerative science and technology. One of his inventions, the Double Helix Conductor, received a research grant from Scientific Foundation Ireland and was evaluated with multiple research studies at the National University of Ireland Galway (NUIG) and the Regenerative Medicine Institute (REMEDI). It was uncovered in this research program that the use of this device, which produces a novel blend of electromagnetic and non-electromagnetic fields, could produce improvements in the speed of wound healing that rivalled that of injections of stem cells. 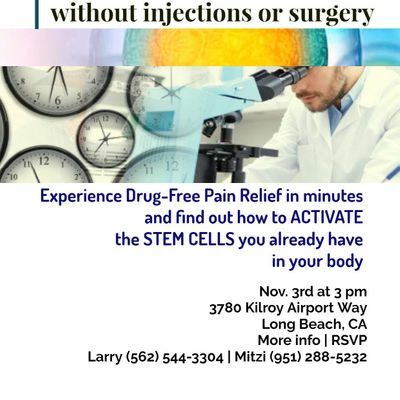 It was this experience that led David to realize that phototherapy could be a means by which a person’s own stem cells could be activated into a more youthful state as opposed to requiring an injection of expensive and potentially dangerous stem cells. Hence, after 10 years of study, the X39 patch was born.As the CEO of LifeWave since 2002, David has overseen global operations of the company as expansion has taken place into more than 100 countries, with offices in The United States, Ireland and Taiwan and distribution facilities throughout the world. As a result, LifeWave has been a multiple recipient of Inc. magazines’ list of fastest growing companies. Dr. Connor began her career as an engineer for silicon valley companies such as IBM. Making a career shift in the 1990's, Dr. Connor has trained as a clinical psychologist, neuropsychologist, drama therapist, massage therapist and in over twenty different styles of energy healing. Dr. Connor received her training as a research scientist as a NIH T-32 post doctoral fellow at the University of Arizona Program in Integrative Medicine under Dr. Andrew Weil, Dr. Iris Bell and Dr. Gary E. Schwartz. Board certified and a Fellow of the American Alternative Medicine Association she is currently the chair of the Faculty Council at Akamai University, Director of Research for Holos University and an Adjunct Professor for Arizona School of Acupuncture and Oriental Medicine. Dr. Connor is co-Chair for the International Society for the Study of Subtle Energies and Energy Medicine, Research Symposium and the former Research Director for the Association for Comprehensive Energy Psychology. Dr. Connor is the current CEO of the National Foundation for Energy Healing and does consulting and research in Arizona. She is the author of ten books. We'll finish off on Saturday with a Cocktail Hour and some finger food for everyone to relax and mingle. Our Final Day, Sunday, kicks off at 10.00 am, where we'll have a Q&A session with David. This is a fantastic opportunity to get to ask David the questions you always wanted him to answer.